There are currently 1 user and 145 guests online. EDUTAINMENT SOFTWARE INC BRINGS YOU A NEW GAME STARRING KIRBY! TEACH KIDS HOW TO SPELL A WORD (spoilers) CORRECTLY! HOURS OF ENTERTAIN FROM EDUTAINMENT SOFTWARE INC! I'm saying this having not played every game posted yet, but it's a safe bet that THIS IS THE MOST IMPORTANT GAME TO COME OUT OF THIS CHALLENGE. What other game here has conditions for a loss that have DIRE IMPLICATIONS for your life OUTSIDE of the game? 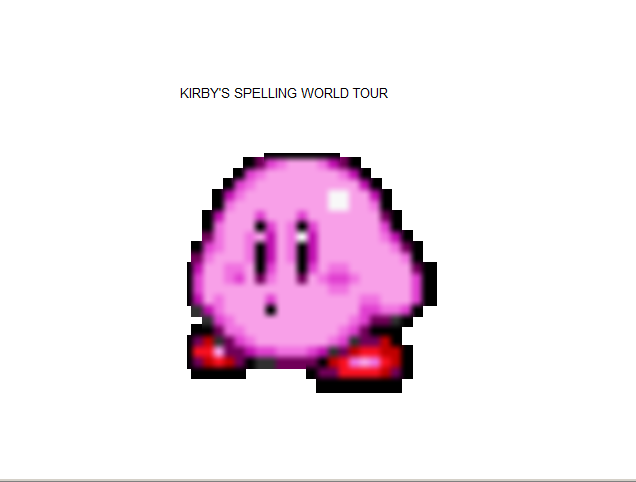 Taking a long, hard look at yourself after having LOST at Kirby's Spelling World Tour could be the life changing event you never knew you so desperately needed. 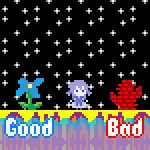 Things can only get better. Chin up. There is help out there!